VERMILLION, S.D. 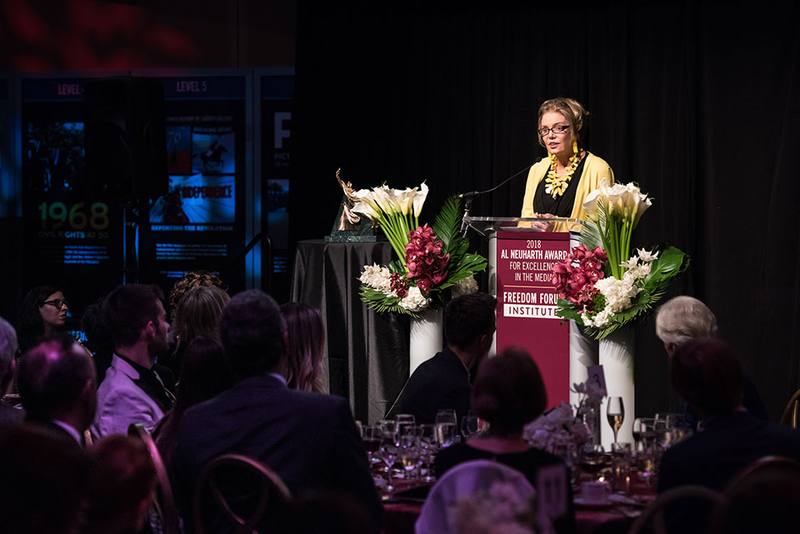 – Veteran sports broadcaster Lesley Visser will receive the 2018 Al Neuharth Award for Excellence in Media on Monday, Feb. 25, in the Al Neuharth Media Center at the University of South Dakota. The Al Neuharth Award for Excellence in the Media is presented by USD and the Freedom Forum Institute, a nonpartisan foundation that champions the First Amendment. The award is named after Allen H. Neuharth, a 1950 graduate of USD and founder of “USA Today,” the Freedom Forum and the Newseum. Visser is the 32nd recipient and second sports broadcaster to receive the Neuharth award. Visser got her start covering sports for the “Boston Globe” in 1974. In 1976, she became the first-ever female beat writer, covering the New England Patriots. In 1992 she became the only female to have handled the Super Bowl trophy presentation. She is also the only sportscaster in history to work on network broadcasts of the Final Four, World Series, NBA Finals, Super Bowl, Olympics, Triple Crown, World Figure Skating Championship and U.S. Open. Visser is currently the only woman to be recognized by the Pro Football Hall of Fame. She was awarded the Pete Rozelle Radio-Television Award in 2006 and was also a recipient of a Gracie Award from the American Woman in Radio and Television, Inc. that same year. In 2008, she was honored with a Billie Jean King Award for Outstanding Journalists, and in 2009, she was voted the number-one female sportscaster by the American Sportscasters Association. The public is invited to “A Conversation with Lesley Visser,” an informative conversation between Visser and Gene Policinski, president and chief operating officer of the Freedom Forum Institute. This free event will take place from 6-7 p.m. in the Freedom Forum Conference Room located in the Al Neuharth Media Center.